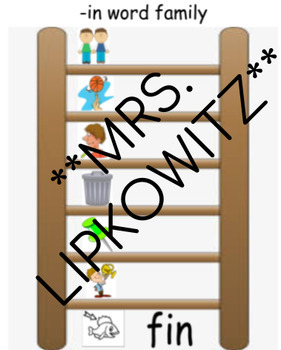 This is word study ladder activity, where you start from the bottom of the ladder and work your way up to fill in all of the word family words! 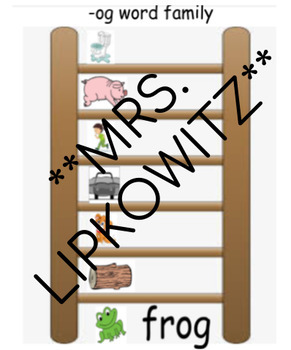 There are picture cues to help students think of the word and then need to use the sound they hear to write out the word that fits that family. It is editable to adjust if you feel it is needed. 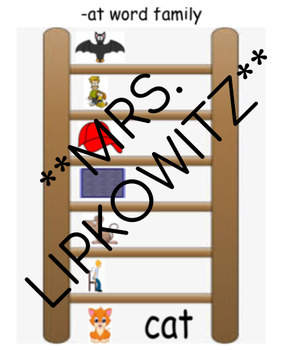 This is a great literacy center activity. I love to put all of my centers like this into clear sheet protectors to use over and over in literacy center time. There are 16 different word families included!